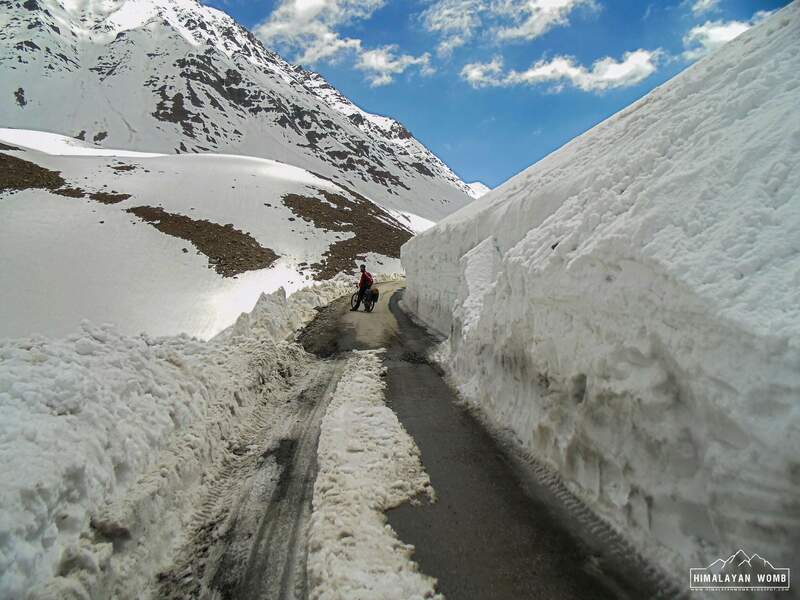 Manali-Leh highway does not required any words. It is the world's Highest Motorable road which is situated at Himachal Pradesh and Ladakh, North India. The highway is 480km long with almost 10,000 meter overall ascent. The average elevation of the highway is 4700 meter. The highways starts from Manali and ends at dry desert Leh, Kashmir. It is said that earlier this route was used by local people to trade things from India to Tibbet. The highway is decorated with five Motorable mountain passes and two high altitude lakes. The five mountain passes are, Rohtang pass (3950m), Baralachala Pass (4890m), Nakee La (4769m), Lachungla Pass (5059m), Tanglungla Pass (5328m), and two lakes are Deepak Lake (4883m) & Suraj lake (4950m). It was april'14 when I was planning to cycling on this toughest that too without anyone. I prepared myself for the solo ride for two months and my journey started on 4th June 2014. It was my second day when I got the company of three other cyclists. We all met long back and still we are friends. It was when we all were crossing second mountain pass. I hope you all like the description and photos. Have a nice day guys. You just got a 0.05% upvote from SteemPlus! To get higher upvotes, earn more SteemPlus Points (SPP). On your Steemit wallet, check your SPP balance and click on "How to earn SPP?" to find out all the ways to earn. If you're not using SteemPlus yet, please check our last posts in here to see the many ways in which SteemPlus can improve your Steem experience on Steemit and Busy.